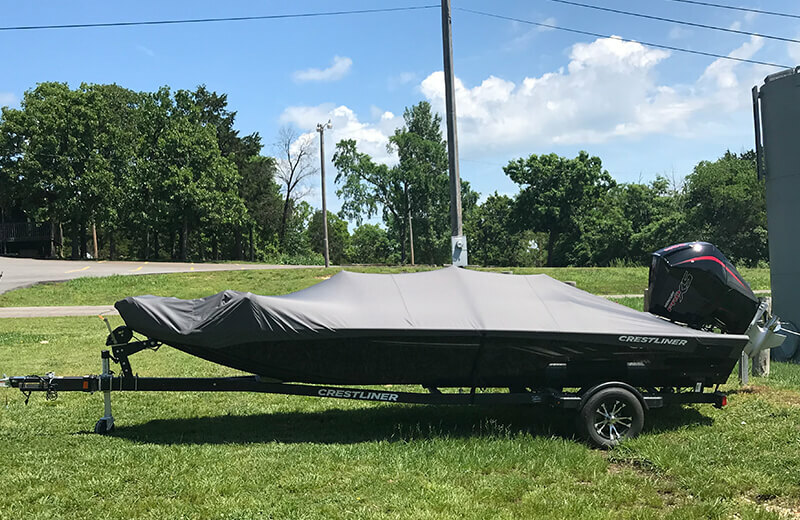 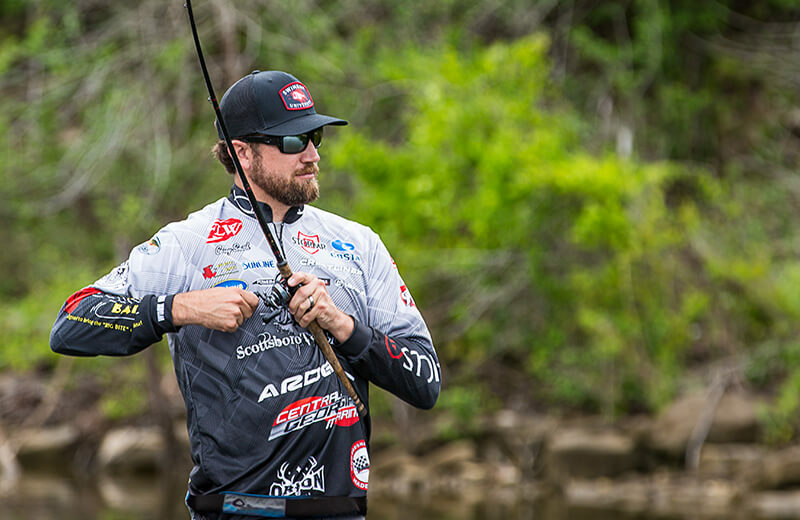 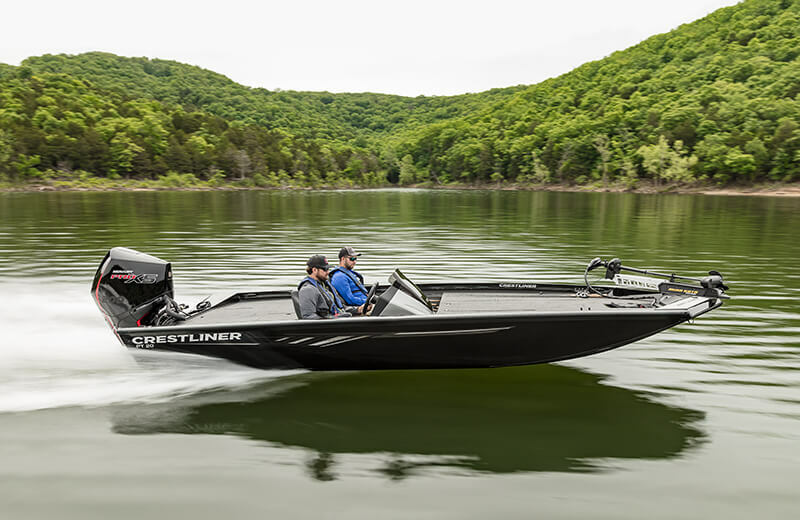 The Crestliner PT 20 is the same 20 foot aluminum bass boat that Jon Cox used to crush the competition in 2016. 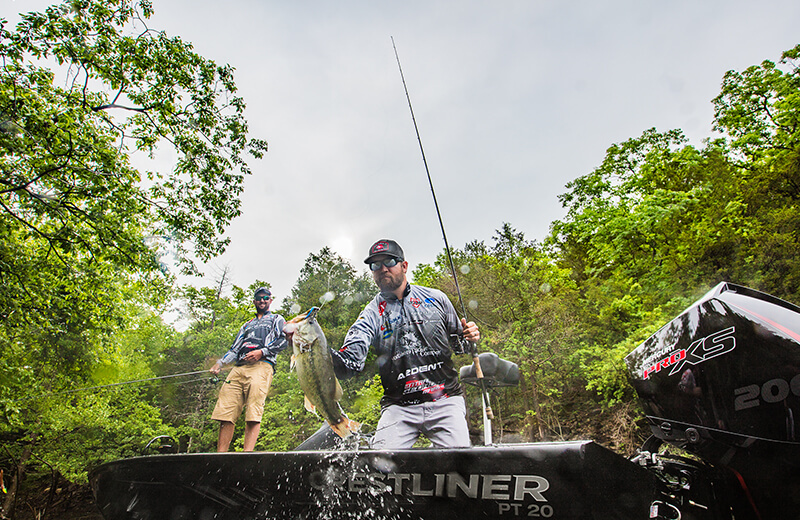 Every angler is looking for any little edge they can find. 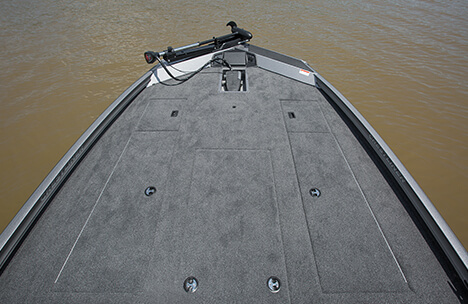 Well, our edge is over 20 feet long and it’s all-welded aluminum. 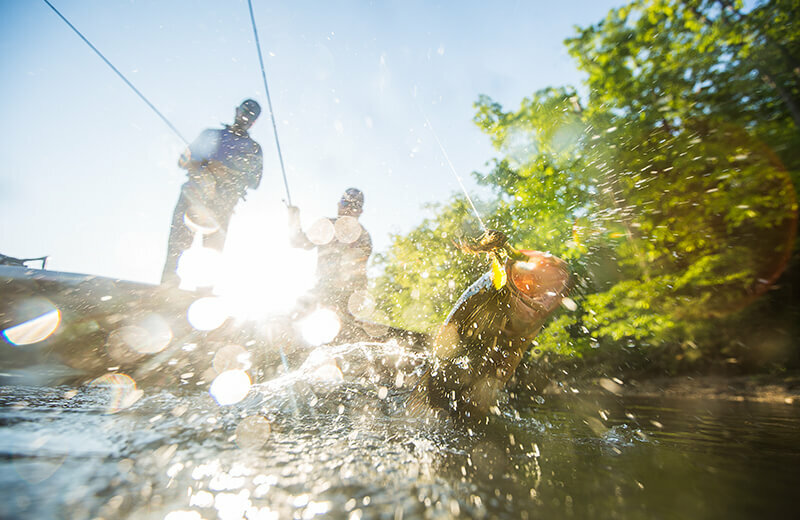 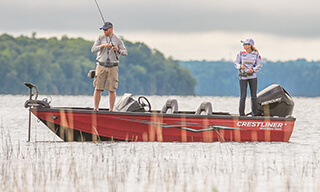 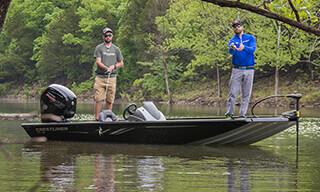 Crestliner’s signature hull is lighter and more durable than fiberglass so its shallow draft and rock-solid construction allows you to search for bass in more areas of the water. 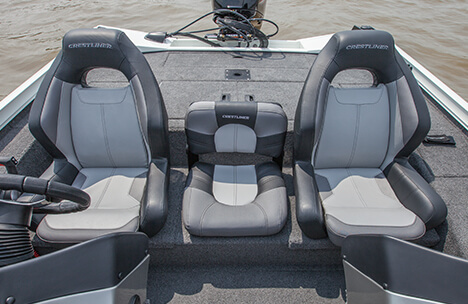 The low-maintenance inherent in the PT 20 means you can focus on what matters during a tournament: winning. 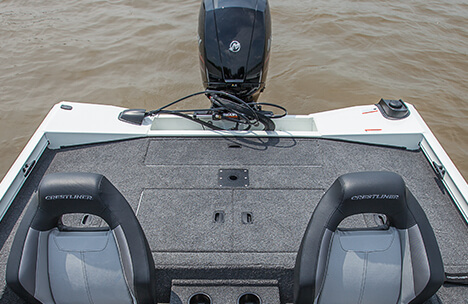 Grab one of 10 8’6” rods from the center rod locker, and go to work from the spacious bow deck of the PT 20, and you’ll see why it’s one of the best bass boats on the market. 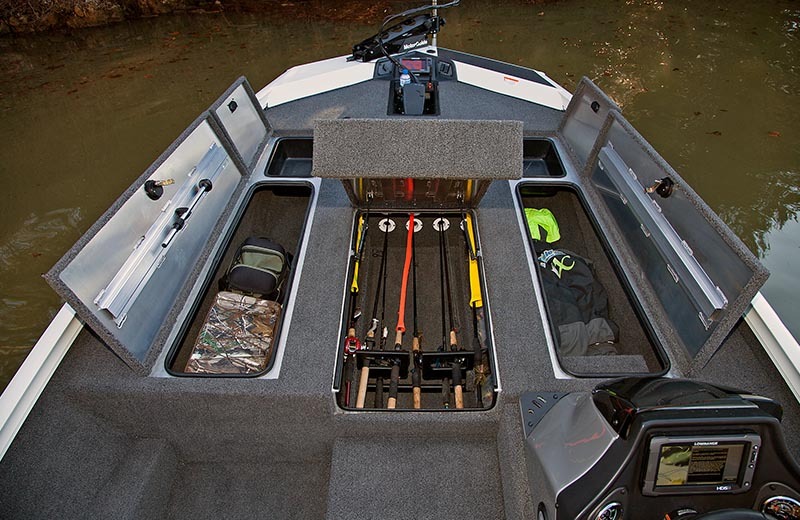 It has everything an angler could want in a bow casting platform: a massive deck supported by a 96” beam, commanding comfort of the boat with recessed foot control, space for tools and a large graph and port and starboard rod/gear lockers nearby. 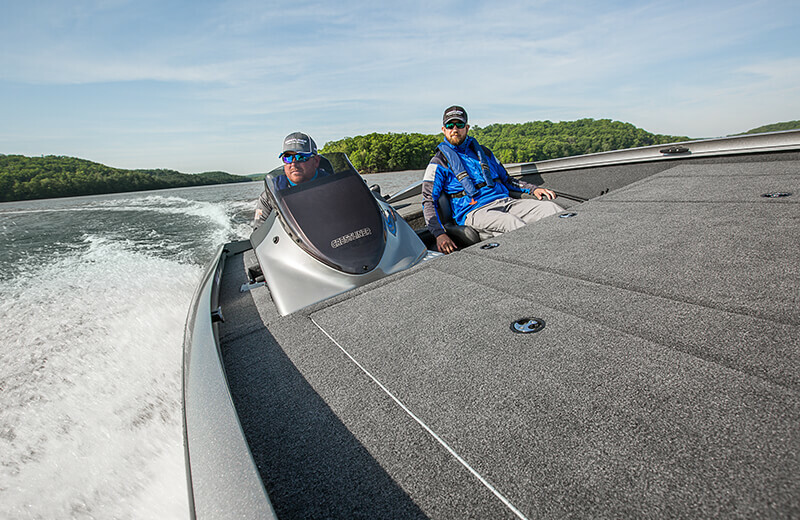 With all of these features, you’ll have everything you need to win the day. 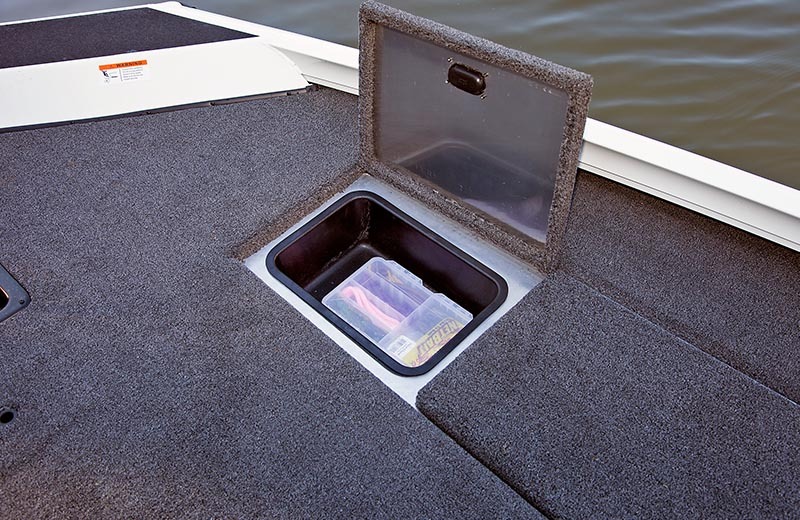 Once you reel in some trophies, keep them in the 45-gallon aerated stern livewell that’s fully insulated and features a divider and timer to keep your trophies fresh and ready for weigh-in. 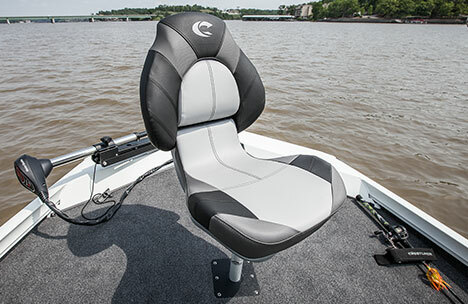 With comfortable seating options all around the boat and a recessed trolling motor foot control, placing in your next tournament won’t feel quite so arduous. 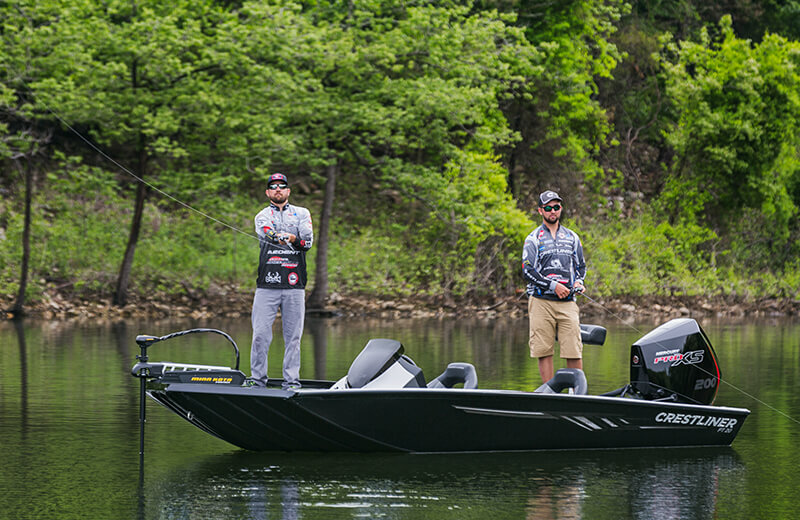 Demand more. 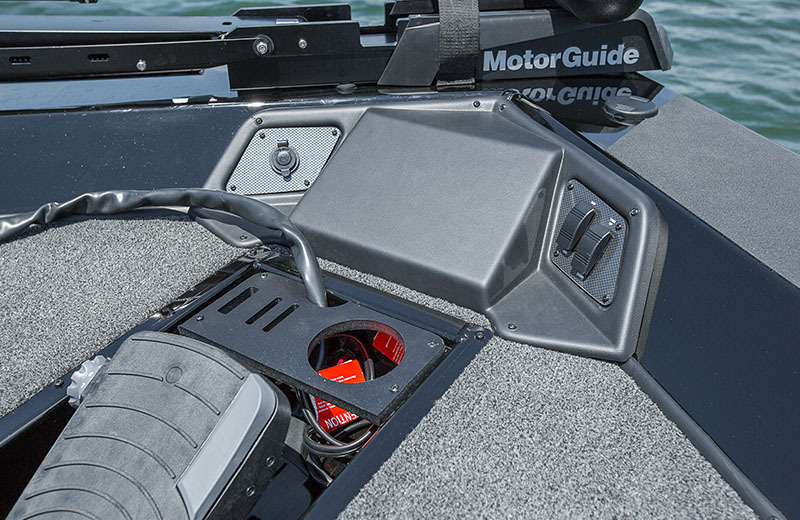 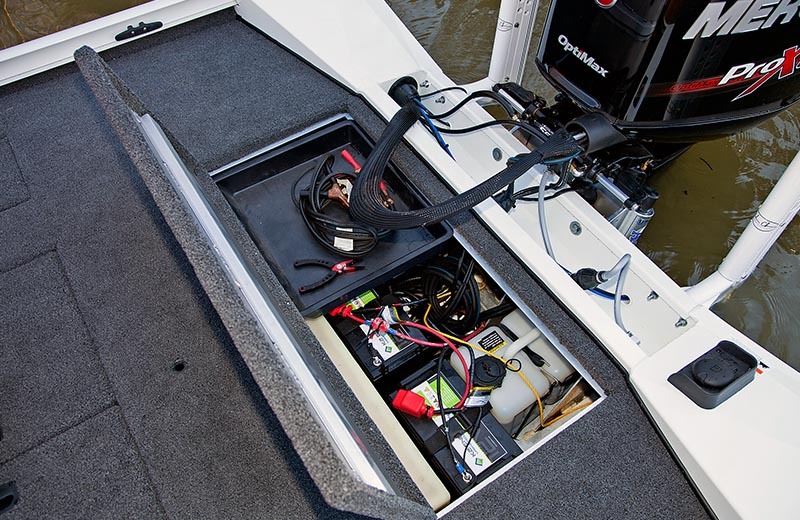 The spacious bow casting deck features center rod storage, port and starboard gear/rod lockers, a massive 96'' beam, a recessed trolling motor foot control, bow panel with space for electronics, pedestal base and additional storage. 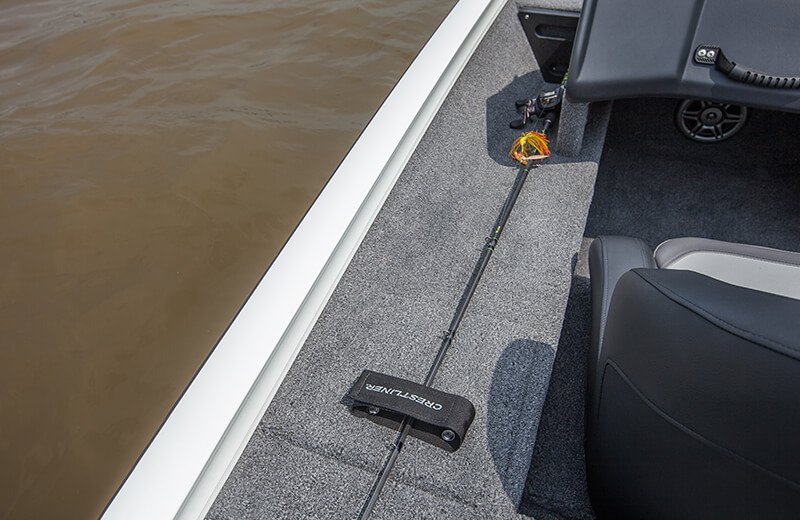 An ergonomic recessed foot control delivers precision control and less fatigue through long days on the water. 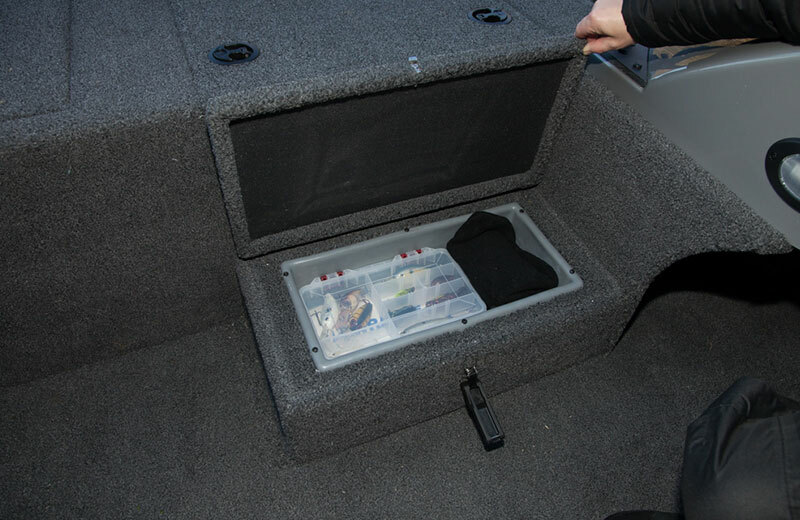 Lockable port and starboard storage compartments each hold up to 12 rods at 8’6”, or can act as spacious storage to keep gear safe. 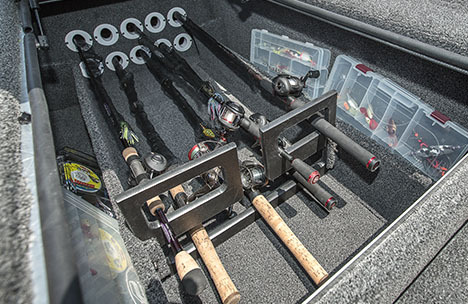 Lockable center rod storage holds up to 10 rods at 8’6” capacity and includes extra space for tackle boxes and gear on the side. 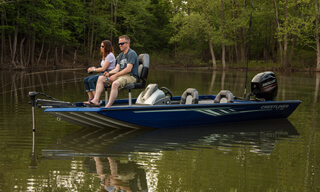 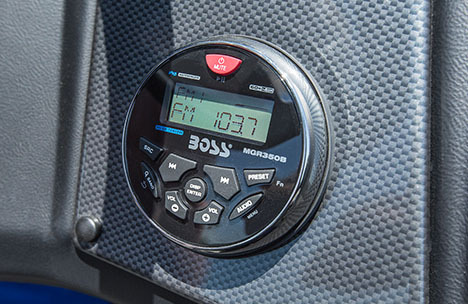 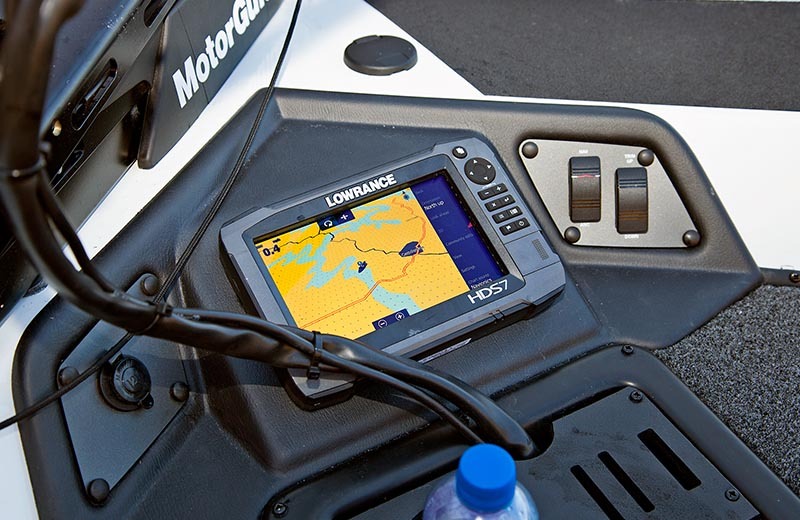 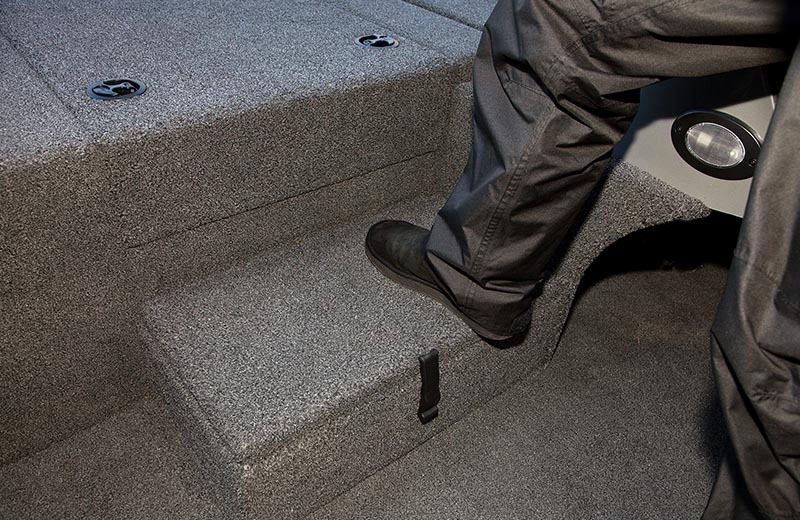 Delivers added comfort and maneuverability while fishing from the bow of your boat. 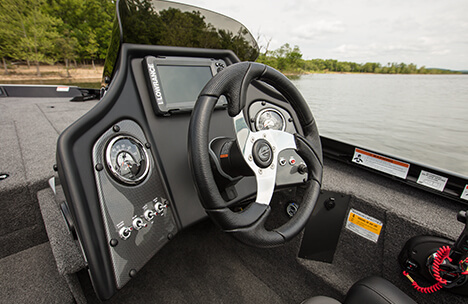 Premium console features detailed instrument panel with multi-function black sterling gauges, rotary switch panel, 12V power outlet, space for 9” electronics and a windscreen. 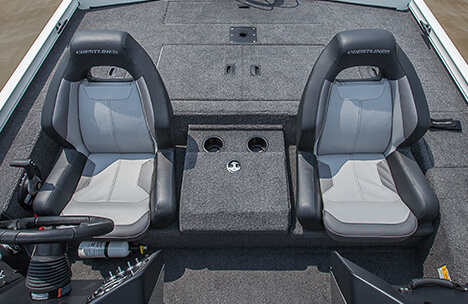 Fish in comfort with premium bucket seats that provide extra cushion and support. 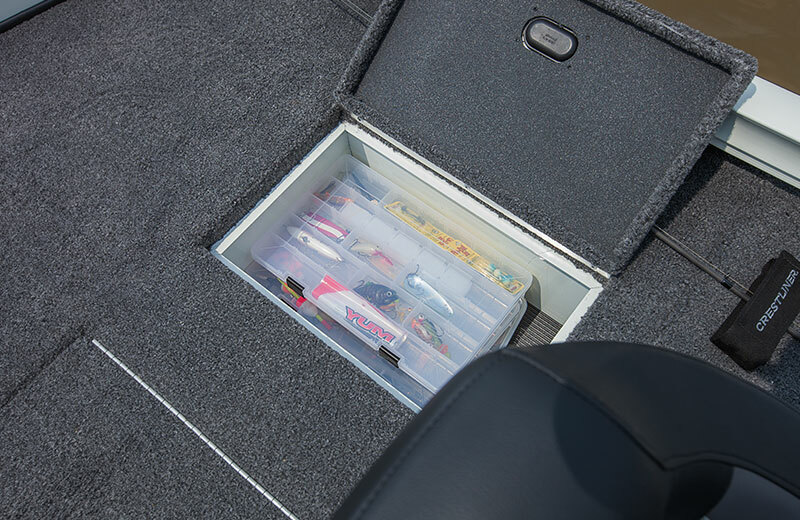 Everything you need within reach. 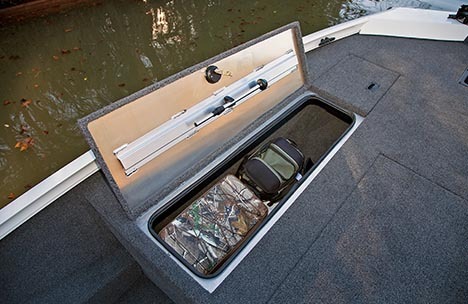 This spacious casting platform gives you the upper hand with features including a 45-gallon livewell, port & starboard insulated storage, and easy-to-reach battery storage. 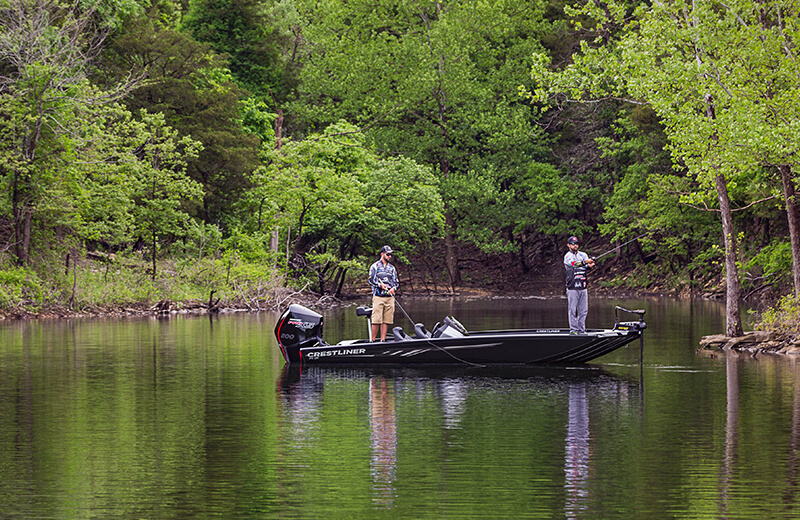 The more you can carry, the more you can show. 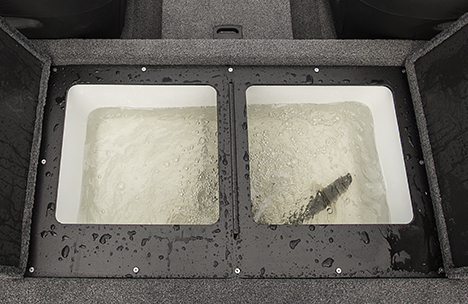 A deep 45-gallon aerated and fully insulated stern livewell complete with timer, divider and recirculating system keep your trophy bass in prime condition. 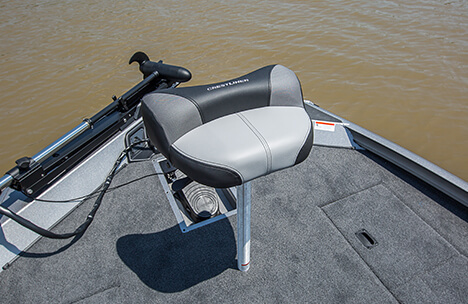 Fishermen on long treks appreciate the additional support of the Pro Seat. 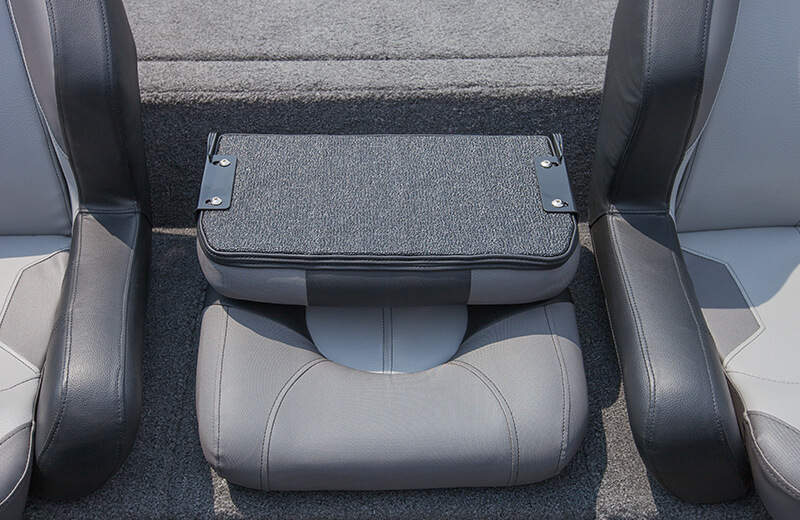 Accommodate one more with the optional center seat, complete with a folding top to act as a step to the stern. 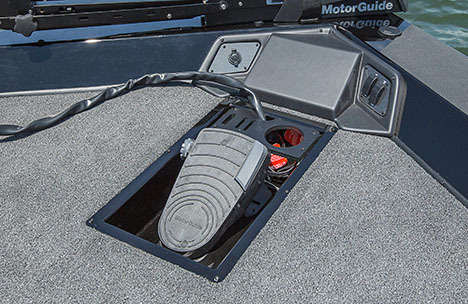 Plus, the seat doesn’t interfere with the center storage below. 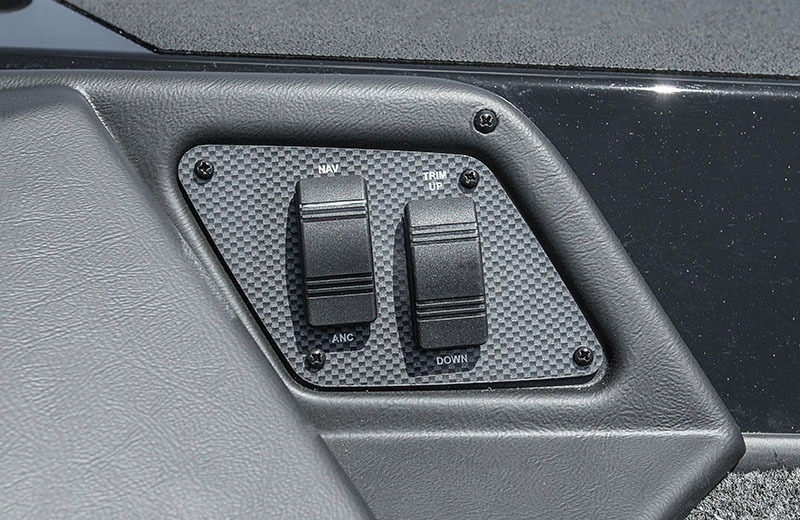 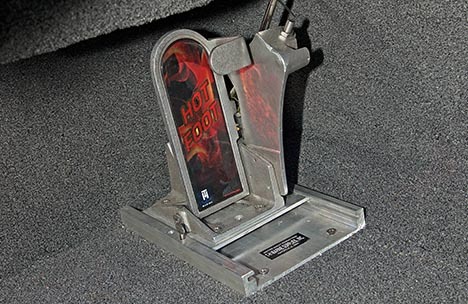 Put pedal to the metal and beat the competition to the spot with an optional Hot Foot™ pedal. 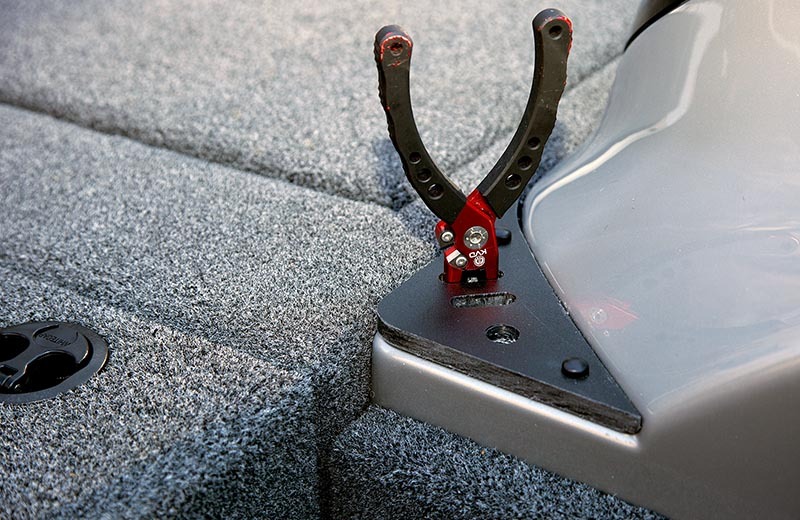 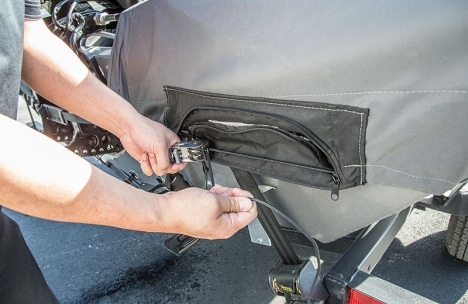 The snug, custom-cut travel cover attaches securely with its easy on, easy off ratchet strap closure system.